The Society is a vigorous and committed organization, involved in educational activities, issues related to the professional practice of pathology, and interaction with other state and national medical groups. Pathology members are a diverse group, representing academic medicine, group and solo practice, and urban and rural practice settings. 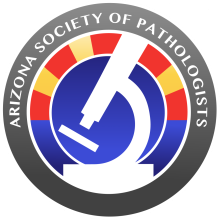 We believe involvement in the Arizona Society of Pathologists is a rewarding and productive experience.